Europan 9 was launched this month. The Europan competition definitely impresses by its bigness: in 2005 Europan 8 offered 19 simultaneous national competitions on 74 different European sites – each nation set its own jury. Europan addresses young architects aged less than forty years and intends the realisation of the winning designs. No wonder the competition is seen as a serious chance to launch an architectural practice! The implementation of the prize winning projects is still difficult but at least Europan entrants can expect a professionally organised competition resulting in exhibitions and publications - what else shall we require? i guess that means "portacabin", in italian, right? These are the first pictures of an extraordinary concept scheme for a mammoth mile-high tower in London capable of housing more than 100,000 people. Drawn up by Popularchitecture, in collaboration with Fluid Engineers and Pha Consul M&E specialists, the giant skyscraper would be three times larger than anything ever built in the capital and would create 12 new ‘villages’ in the sky. As well as homes, the 1,500m-tall tower has also been designed to contain all the infrastructure needed for such a large population, including schools, hospitals, shops and pubs. At the centre of the structure would be a ‘vast internal void’ lit by circular openings every 20 storeys. Each of these ‘holes’ would be used as either public squares or for specialist activities such as ice skating, botanic gardens or swimming pools. Practice founder Tom Teatum admits the scheme’s scale is verging on ‘almost unbelievable proportions’ but insists there are developers who are interested, ‘in particular because of minimal land value in relation to accommodation’. The practice also envisages the possibility that a whole series of the towers could be built. The Rockefeller Foundation in the US has announced the creation of a $200,000 (£100,000) award, to be called the Jane Jacobs Medal, which will recognise individuals who have made a significant contribution to thinking about urban design. The medal – which will focus specifically, but not exclusively, on work in New York City – will be dished out annually to two people: one who has made a lifetime contribution and another who is at the start of a promising career. Jacobs – who died last year and was a towering figure in urban design circles – was a young unknown in 1958 when she received a $10,000 grant from the foundation to write what would become her world-famous book, The Death and Life of Great American Cities. Nominations for the awards can be submitted via the Rockefeller Foundation Web site until 2 March at www.rockfound.org. portakabin in italian could be "prefabbricato" more or less.. In the russian tradition, the unfinished (on hold for lack of funds) Ryugyong Hotel in Pyongyang, North korea. 330 meter high, this thing blows my mind. Brutalist design which fascinate through it's scale alone, but why on earth does North Korea need a hotel that big? Maybe it's a big missile and they're just building the hotel around it to fool everyone...? "The Battersea Power Station site is set to be transformed into a dynamic newentertainment and events, cultural and commercial focus for London. It will become a platform for innovation, a place of inspiration where new thinking and new ideas will thrive." these must be the best treehouses in the world! they look like gypsies caravans inside! OMA principal Rem Koolhaas has unveiled these designs for a new 52-storey tower in New Jersey, USA. The Pritzker Prize-winner revealed the mixed-use skyscraper earlier this week, which sees three rectangular slabs stacked perpendicular to each other. The scheme will house a hotel, a host of condominiums, artist lofts and studios, a gallery and retail space. Koolhaas said of his design: I am putting together familiar elements in an unfamiliar way. We are creating something slightly more memorable and slightly more energetic – what New Jersey lacks is some visible evidence of a new beginning. The $400 million (£200 million) project aims to be the focal point of an arts district, and will house public spaces on three levels. If it wins the green light the scheme will become one of the tallest residential structure in the New Jersey area, and will replace a 130-year old former tobacco company. i like that. will they have a roof top garden on the top of the middle section? hehe, i still like those colour and grey images you produced a while back, ihc. in fact, i just grabbed them off the bb gallery and stuck them in a folder... they should take a look at those and do something similar. “All across Beirut you can find walls covered with bullets holes. Reminders of past violence, conflict and war. Moving through the city they are an all too familiar backdrop for any urban scene. This proposal that I called ‘bullet lights’ is reversing the meaning and experience of the ‘bullet hole wallpaper’ at diverse locations in the city. Introducing unexpected poetic moments of beauty. Beauty, ambivalently mixed with the physical testimonies of violence. The project doesn’t want to make a point it just invites people to look at things differently. Seeing things from more than one perspective is the starting point for empathy. “SWANSEA'S ambition to create a waterfront city that will be the envy of Europe has taken a major step forward today (Mon, March 5). Developers and property agents from across Britain gathered in Swansea to hear about £1 billion plans to revitalise the city centre. Swansea Council, the Welsh Assembly Government and the City Centre Partnership joined forces to launch the Swansea City Strategic Framework which covers the whole of the city centre and identifies major sites which are ripe for development. At today's launch the first major development opportunities at three key locations in the heart of the city were unveiled. They include the St David's and Quadrant area which could be redeveloped to create a 21st century retail complex, attracting major shops and stores to the city centre. The second site being marketed is the car park at Paxton Street and the east car park at County Hall. They have stunning elevated views of the sea and city centre and could be transformed into an iconic destination. These seafront sites can be developed with new landmark buildings including shops, cafes and homes and attractive public spaces which will help to link the city centre with the sea. The final site being marketed is the Sailbridge area which is being offered for grounds floor cafes and restaurants, upper floor residential, office and hotel. 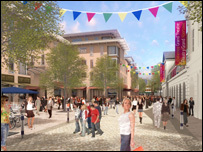 It will also include a public square between the Dylan Thomas Centre and the waterfront to mirror developments in SA1. These development opportunities are the first practical outcomes of the Framework that has been prepared for the partners by leading consultants Roger Tym and Co. Expressions of interest are now being sought from developers for either one or both of the sites by the end of April. A preferred developer is expected to be appointed by the end of the year. Improving existing retail areas, encouraging a greater mix of uses, promoting new shopping developments and enhancing specialist shops and entertainment at St David's, the Quadrant Centre, Oxford Street, Castle Square, West Way, Wind Street and Princess Way. Oystermouth Road developed into an urban boulevard, with enclosed buildings, high quality architectural design and a major public crossing linking the city to the sea. Create new destinations and attractions at Paxton Street, Sailbridge and Maritime Quarter to connect the city to the sea. Mansel Street and Alexandra Road will have high quality improvements to reflect its quieter and quality civic life. New commercial and residential developments in Kingsway/Orchard Street to create a more attractive location and boost its day and night-time economies. Developments in High Street to promote its "urban village" role. A greater mix of developments in Parc Tawe. 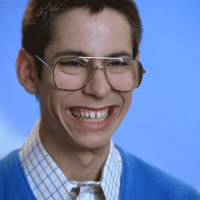 do you have a link to that, ihc? as cited in the blockquote - semantic web baby yeah! Future Systems has won the international competition to design the new £46 million National Library in the Czech Republic capital of Prague. Chosen ahead of 740 entries from around the world, the firm’s winning design was inspired by ‘sea creatures’ and has been described as a ‘whimsical, undulating’ structure. The new library in Letna Park, which will be covered in thousands of champagne-yellow-coloured tiles, is expected to open its doors in 2011. The Retreat : Contemporary house RV. If you saw this this holiday caravan from the UK's Retreat Homes in North America it would be called a trailer or recreational vehicle. What it really is, is a contemporary mobile home with a private decked courtyard no less. There are no faux finishes. Where there is wood, it is solid timber, where there are windows, they are floor to ceiling glass. The Retreat has a traditional galvanised steel chassis and can be sited on a simple concrete slab or individual pads, without the need for expensive foundations. the real advantage of this house having a chassis is that it overcomes many planning obstacles - thinking of sock! also, czech library? will it be tinky winky or lala that gets the head librarian job? As an ironic take on the value of heritage, architects Jackson Clements Burrows Architects in a suburb of Melbourne, Australia. replaced what they saw of something of little heritage value yet protected by local planning guidelines, with a glass box with an 'imprint' of the former shack. So we have a glass house witha 1:1 photograph of a weather boarded shack. The planners said that it fulfilled the role of the original conservation order, in that it maintained the memory of what was gone before. “"Plan" by Aneta Grzeszykowska and Jan Smaga, consists of 10 photographic compositions which are an extremely detailed representations of 10 private apartments. All of them were photographed as if the ceilings were taken off. Such an unusual effect was achieved through the use of a special technique: the overall picture of a room is an aggregate of dozens fragmentary photographs taken from above, and then merged using a computer. This gives the impression as if a scanner moved over the apartments - there are neither deformations nor blurred fragments, the precision of the image is dazzling and the possibility to enlarge it is practically unlimited. Due to its laborious nature, the project took 2 years to complete. MAKE has revealed the first images of its huge four-tower scheme in the heart of Croydon, south London. The project in Cherry Orchard Road for developer Menta, will create more than 100,000m2 of new office, retail and residential space and will be instrumental in transforming East Croydon station into one of the capital’s ‘leading commuter transport hubs’. The focal point of the development will be a new urban park which, the developer hopes, will ‘complement and help bring forward the rejuvenation of’ the station. loads of nice photos and even a little video of this deck house on the plataforma arquitectura site. check it out. Some very nice architecture... a couple of samples below. I was all exited until I saw the inside. A microwave oven! NO! It needs to look like something from the lord of the rings. We won first prize to an invited competition for a look out in Aurland. This project is apart of a National program on tourist routes commissioned by the Norwegian Highway Department. The pictures actually say more than a thousand words. Finished December 2005. Official opening June 2006. Steven Holl Architectsâ€™ light-filled Nelson-Atkins Museum of Art - The addition to the Nelson-Atkins Museum of Art (Kansas City, MO) opening in June, runs along the eastern edge of the museum campus and provides a counterpoint to the original 1933 Beaux-Arts building. Five lenses of glass walls emerge from the ground and create a luminous, undulating interplay between architecture, landscape and art. 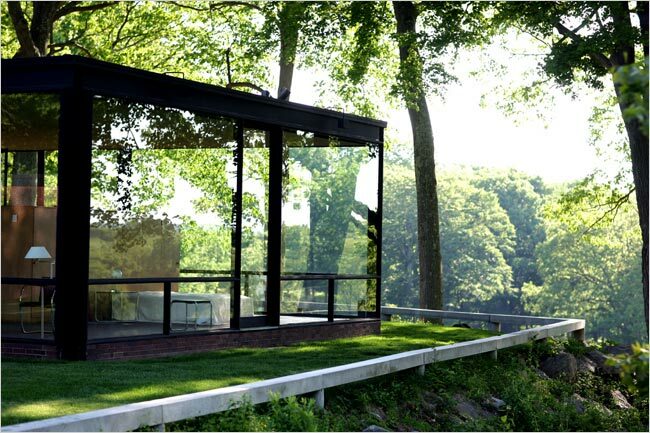 Philip Johnson's Glass House in New Canaan, Conn.
“A chartreuse form attached to the roof of a Rotterdam warehouse, the Parasite project is a prototype for a new form of urban housing - urban infill designed to explore the relationship between sustainability and prefabrication. So just how is this project sustainable? The prefabricated panels, both load-bearing and insulating, are manufactured from waste wood and can be assembled in only four days. It is also designed to take advatage of the existing building's water and heating systems. Many of the other works in the Green House include technologically advanced environmental systems, but with the P.A.R.A.S.I.T.E. PROJECT we are presented with a green house that is both simple and thoughtfully constructed. “In the charming â€œPlayground Fenceâ€, not only are the protrusions and recessions of the fence eye-catching, but they allow for a more active interaction between those on either sides of the fence, providing seats, benches, nooks and playspaces for children. very nice looking. Good idea as well. For a moment, I didnt realise that the horizontal bars are filled in. Would have bee dangerous if not ! hehe yeah - law suit central!